Moisturize and deeply replenish parched strands without weighing the hair down. 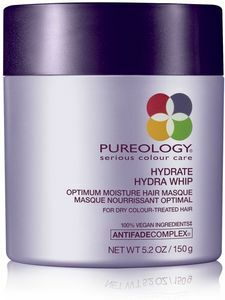 This Masque detangles, conditions and add intense shine, provides slip and suppleness, dramatically improves moisture content, Improves movement and manageability and gives hair a shiny finish with a soft, touchable feel. With peppermint, sage and rosemary as natural plant extracts and a signature aromatherapy blend of rose, plumeria, sandalwood, amber and vanilla. To use: Apply to clean, damp hair and comb through. Leave on 2-5 minutes then rinse.